The objective of this project has been to review the progress of the Department of Science and Technology, and more broadly the Government, towards the implementation of the White Paper on Science and Technology (DACST, 1996). The White Paper defined a vision of six high level goals, nine essential requirements and scores of specific initiatives, the latter divided into six categories of policy formulation. 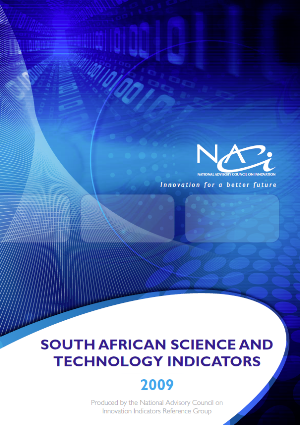 This report is aimed at providing core South African science, technology and innovation indicators with a view to assessing the performance of the NSI and includes extensive data obtained from a wide spectrum of local and international data sources. Data included in this publication mostly cover the past ten years (2007 – 2016) in order to allow for a proper trend analysis over a period of time. 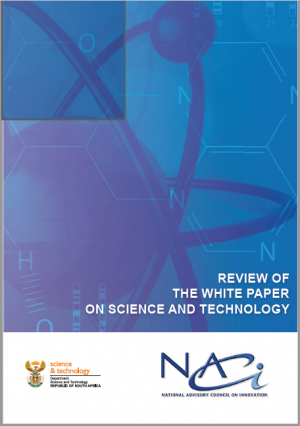 This report is a contribution to the formulation of the Next-Generation White Paper on Science and Technology. It presents a situational analysis of the contemporary conjuncture, identifying global and local trends that influence society, the economy and the governance landscape. 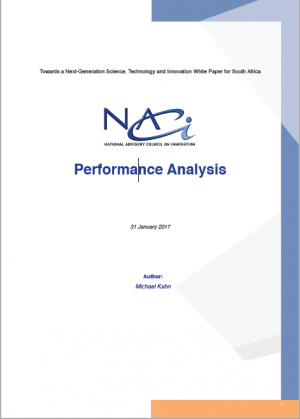 This Performance Analysis contributes to the formulation of the intended White Paper on Science,Technology and Innovation (STI). It should be read in conjunction with the separate Situational Analysis. 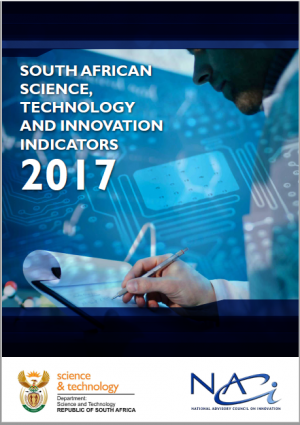 This report is aimed at providing core South African science, technology and innovation indicators with a view to assessing the performance of the NSI and includes extensive data obtained from a wide spectrum of local and international data sources. Data included in this publication mostly cover the past ten years (2006 – 2015) in order to allow for a proper trend analysis over a period of time. Massive infrastructural projects already undertaken provide insight into the changing and dynamic nature of the changing priorities of government over time. While the objectives remain relevant, the extent and manner in which they are realised becomes particularly important for effective learning to take place. 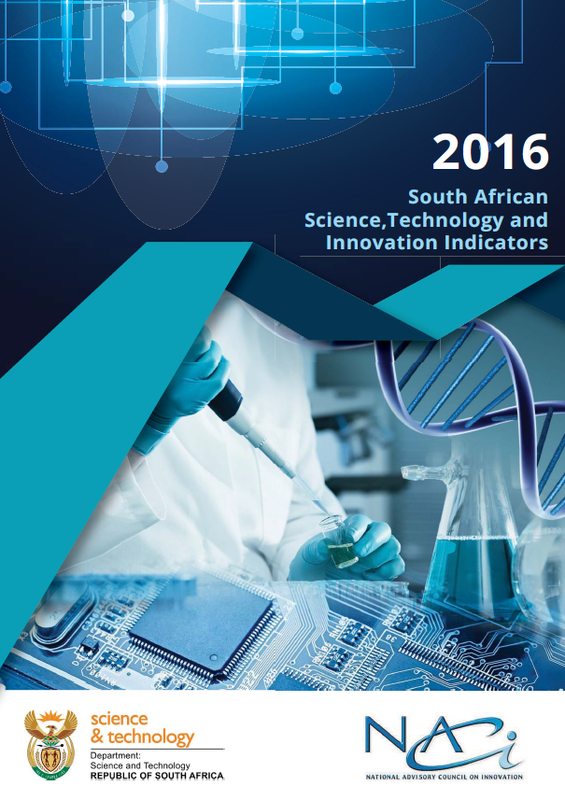 This report is aimed at providing core South African science, technology and innovation indicators with a view to assessing the performance of the NSI and includes extensive data obtained from a wide spectrum of local and international data sources. Data included in this publication mostly cover the past ten years (2005 – 2014) in order to allow for a proper trend analysis over a period of time. 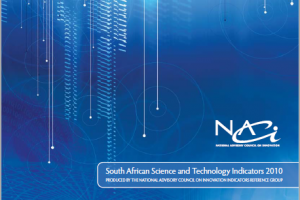 This report is aimed at providing core South African science, technology and innovation indicators with a view to assessing the performance of the NSI and includes extensive data obtained from a wide spectrum of local and international data sources. Data included in this publication mostly cover the past ten years (2004 – 2013) in order to allow for a proper trend analysis over a period of time. 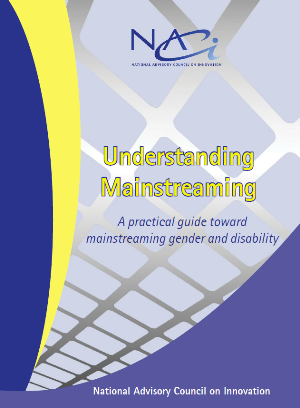 This booklet provides hands-on information about mainstreaming gender and disability as a strategy to ensure that it occurs throughout the entire science, technology and innovation (STI) sector, and in all aspects of NACI’s day-to-day work, whether it be the work of the Council, the Executive Committee, the Secretariat, or one of the National Advisory Committees. The concept of gender and disability mainstreaming is unpacked within the specific framework of science, mathematics, innovation and technology, and against the backdrop of the national objectives of the improvement of the quality of life of South Africans, the promotion of sustainable economic growth and international competitiveness. Practical mainstreaming tools are provided to enable immediate implementation. 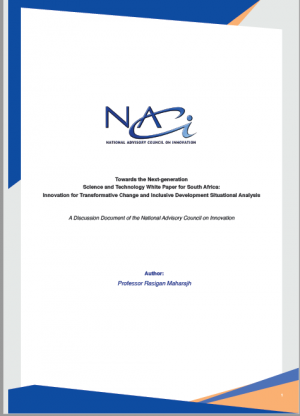 South African Science and Technology Indicators booklet was prepared by the Monitoring, Evaluation and Indicators project team of the National Advisory Council on Innovation (NACI). The indicators contained in this booklet are useful in the assessment of both the state of the national system of innovation (NSI) and the impact of key NSI policies and strategies. Reference to key indicators is a vital contributor to various debates in policy formulation and thereby to the promotion of evidence-based policy decisions.The indicators cover a ten-year period spanning 2003 to 2012. This is a very important period for the NSI, following the inception of the National Research and Development Strategy (NRDS). Coincidentally, most of the targets of the NRDS were set for 2012. 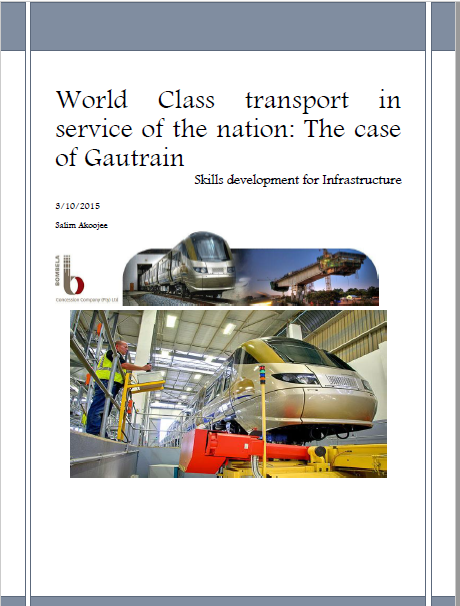 The indicators contained in this booklet are therefore critical in assessing the impact of this strategy on South African knowledge generation capacity and the progress achieved in positioning science-based technology to improve quality of life and economic growth. In addition, it is important to monitor these indicators as we are halfway through the Ten Year Innovation Plan (TYIP), which is key in positioning South Africa as a knowledge-based economy. to evaluate how the two systems are aligned with each other for increased societal impact. 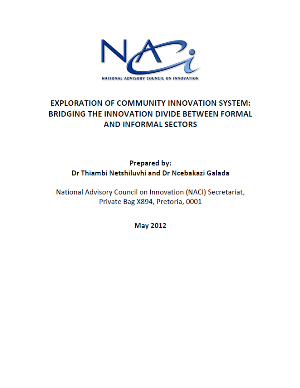 The specific objectives of the study were to: Investigate if community and regional innovation systems exist in South Africa; Explore how such systems respond to both economic and societal challenges; and Establish if there are linkages between the different systems with the aim of encouraging active participation by local rural communities. 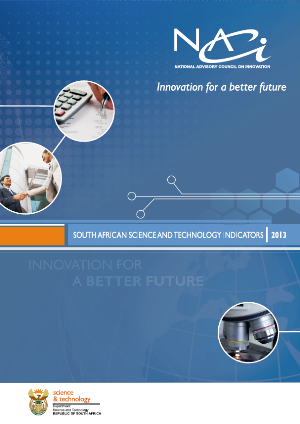 The South African Science and Technology Indicators 2010, an update of the 2009 report, provides an overall picture of South Africa’s national system of innovation by presenting statistical data relating to trends and performance. This report should be seen as a collection of the core innovation indicators and includes extensive data obtained from a wide spectrum of data analysts and performance evaluators. The National Biotechnology Advisory Committee’s (NBAC) national workshop entitled, Feeding the Biotechnology Pipeline was held on Thursday 30 September 2010 at the Irene Country Lodge, Irene. The workshop was attended by stakeholders and representatives form the public and private organisations in the biotechnology sector. The aim of the workshop was to explore in particular the scope and nature of policy or system challenges experienced in the biotechnology sector, and this was presented in the following themes: Intellectual Property (IP) awareness, funding gaps, human capacity, and regulatory issues. Identify linkages and institutional arrangements between DST and other government departments. 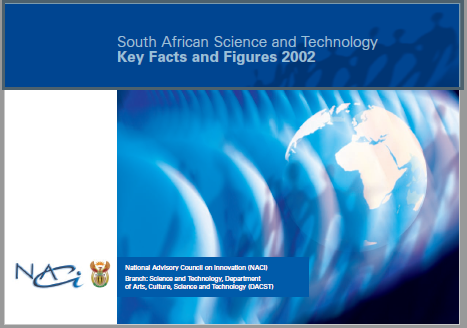 The South African Science and Technology Indicators 2009, an update of the 2008 report, provides an overall picture of South Africa’s national system of innovation by presenting statistical data relating to trends and performance. Science and technology indicators are essential tools used by countries for monitoring and evaluating the performance of their national innovation systems. South Africa is no exception. When such indicators are founded on common international practice, they can also be used to analyse our progress (or lack of progress) and position relative to other countries. Understand how the organizations were working with grassroots communities through the application of technological and non-technological innovations. Identify gaps that may warrant urgent attention regarding the expansion of the functions of these organizations in order to maximise their impact. During the course of 2008/2009, NACI commissioned the development of a directory of indicators together with a directory of the associated data sources which provided information on the availability of indicator time series. The focus was on South African based data sets and international data sets that could be valuable for South African policy makers, strategists, business leaders and academics. Outcomes that would improve the lives of, in particular, our poorest citizens by providing jobs and increasing food security. South Africa is remarkably rich with innovative communities and multi-stakeholder organisations involved in innovative social development programmes and initiatives. Some of the organisations that support social entrepreneurs in South Africa are listed below. It is important that government invests in or provides incentives for these programmes. Government can provide an enabling environment while the business fraternity provide financial and technical support to motivate social entrepreneurs and NGOs to expand and extend their social innovation activities. In particular, the DST’s Science and Technology for Social Impact programme could partner with these organizations to ensure development and efficiency of delivery, and consequently enhance social impact. The main findings of the research indicate that women in South Africa have made great strides in the past decade in terms of their participation as Postgraduate students and professionals working in SET. Although still clearly disadvantaged in relation to their White counterparts, African, Asian and Coloured women are beginning to make their presence felt on the SET stage. 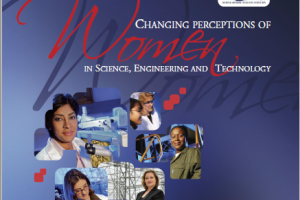 This document aims to provide an overview of on how to achieve equality between women and men in Science, Engineering and Technology by integrating a gender equity perspective into policy-making, and implementation of the National System of Innovation. 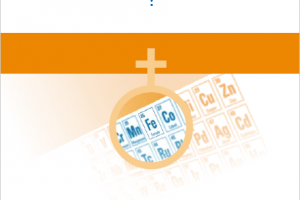 The study not only addresses not only the participation of women in Science Engineering and Technology but also the extent to which women benefits from SET.The study not only addresses not only the participation of women in science SET but also the extent to which women benefits from SET – an update of 2004 version. 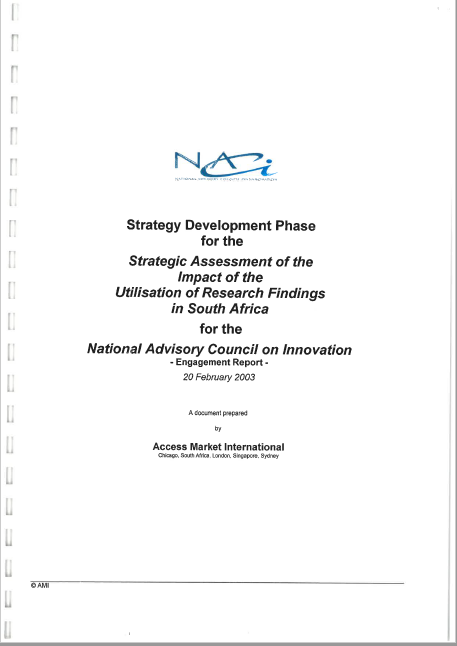 The effects of the Second NACI Council initiatives undertaken during the period 1 April 2004 to 28 February 2009 are summarised under the following headings: conceptual considerations, management processes, outputs, communication and networks, external evaluations, and overarching conclusions. This report sets out to investigate the performance, processes and dynamics associated with South Africa’s research, science and technology collaboration on the African continent. The resultant analysis leads to a set of recommendations as to how the South African government could effectively improve its interaction with its African counterparts in S&T initiatives. 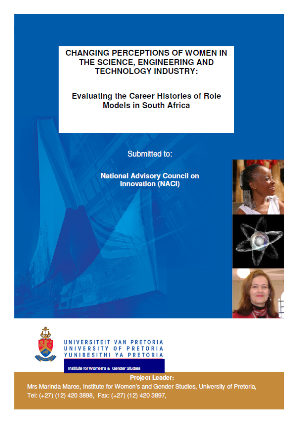 The objective of this document is to provide a framework for collaborative action on gender, race and the Science, Engineering and Technology (SET) sector within which institutions in the South African National System of Innovation (NSI) may implement effective measures for ensuring that South African women participate fully in, and benefit from, innovative SET research, the production of SET products and the provision of SET services. Through the increased participation of women in SET, South Africa can increase its capacity for innovation and increase the contribution of Research & Development to Gross Domestic Product. Women’s entry into the higher education in South Africa during the past decade, has increased but women remain under-represented within the Science, Engineering and Technology (SET) sector. The problem is evident at postgraduate degree levels, particularly in the field of engineering where fewer women register. Only a small number of South African women end up working in the SET sector. Constant gender imbalances in the workplace, especially in the SET sector continue to impact negatively on South Africa’s global competitiveness in growing the skills in the economy. to identify from the interviews, the factors that contribute to their success in their careers. Information regarding obstacles they have experienced and ways they see how women can be involved in SET careers, will also be focused on. The results will be supported by additional information. This report offers a concise overview of research done in the first phase and consists of the following sections: Conceptual and operational context (including a selective overview of relevant literature and case studies of selected countries); the next sections report on an empirical study that was conducted (research questions ; the multi-phased design of the study ; and main findings); the penultimate section of the paper, Discussion , which offers an interpretation of all the preceeding information (i.e. literature and empirical findings); and finally the report concludes with a set of key recommendations. 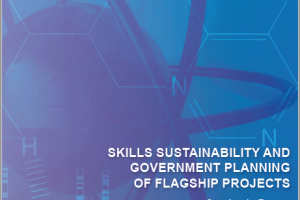 The central focus of the proposed research was to investigate, in case-study format, the extent to which skills development was considered and planned for in the construction and development phases of key flagship and other large infrastructure development projects. The case studies also explored the extent to which the approach adopted built a skills eco-system that could be sustained thereafter. 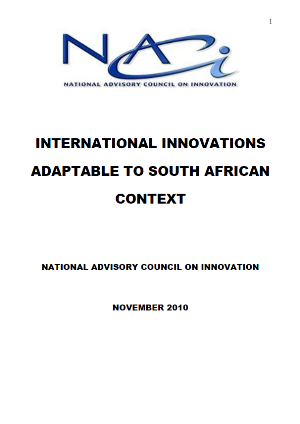 This document reports the result of an effort to identify international best practice related to the management of National Systems of Innovation and develop relevant recommendations for South Africa. This background report has been prepared as an input to the OECD Country Review of the South African NSI. The goal of this document is to provide a gender, race and SET sector policy framework within which institutions in the SA national system of innovation (NSI) can implement effective measures for ensuring that South African women participate fully in, and benefit from, innovative SET research, production of SET products and provision of SET services. 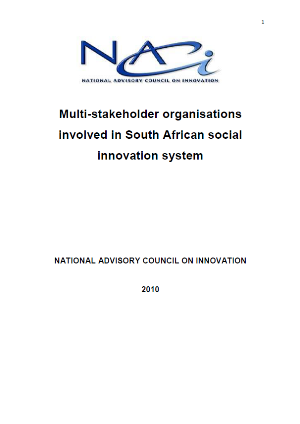 This background report has been prepared as an input to the OECD Country Review of the South African National System of Innovation (NSI). 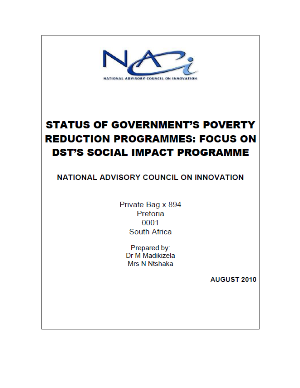 The report was drafted by the National Advisory Council on Innovation (NACI) within the framework of the terms of reference for the OECD Review, as agreed by NACI, the Department of Science and Technology (DST) and the OECD. 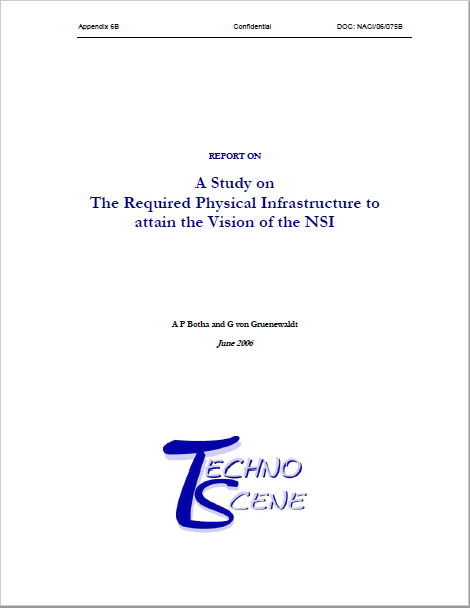 Events leading to this investigation of the “Competitive Aspects of the Required Physical Infrastructure to attain the Vision of the National System for Innovation” commenced with the National Research and Technology Audit, which produced a database of research equipment and generated a scenario of the status of that equipment in 1998. The equipment infrastructure for research was characterised as old, not enabling South African researchers to compete effectively internationally. The recommendation from the audit called for a major injection of funds to replace, renew and introduce state of the art equipment, which was to improve the quality of both the research outputs and research skills. Yet, the audit recommendations were based more on research environments and replacement of the research equipment base in the highly industrialised nations of the north, and not on a firm strategy to plan for the future of research support through capital infrastructure based on national priorities. This study was commissioned by the Science, Engineering and Technology for Women (SET4W) Reference Group1, a sub-committee of the National Advisory Council on Innovation (NACI) in the Ministry of Science and Technology. The report provides a detailed account of the methodology utilised for this project, as well as the findings that emerged from the study. We also include in this report a brief discussion forum in the hope that these lessons will benefit future attempts to run similar discussion forums within DST. The overall project has been conceptualised in terms of three phases in the development of a monitoring and evaluation framework of gender impact of the NSI. 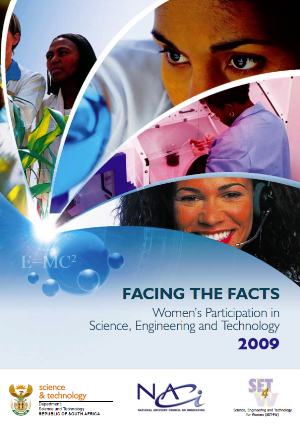 In 2004 the National Council for Innovation (NACI) published a study entitled Facing the Facts: Women’s Participation in Science, Engineering and Technology. The study found that in most Science, Engineering and Technology (SET) disciplines, and in the sector as a whole, women are significantly under-represented. In addition, only 6.4% of a sample of 17 000 research projects in the public sector was found to have an explicit gender perspective. In short, there was less science being produced by women and for women than by and for men. To work towards correcting these imbalances greater insight into their determining conditions was required. Consequently NACI, the South African Reference Group for Women (SARG), and the Department of Science and Technology (DST), commissioned a study exploring the experiences and perceptions of women working in the SET sector. This report presents the findings of that study, and the subsequent recommendations for policy formulation. The report provides a profile of the postgraduate sub-sector of HE and the HE research community in South Africa with a view to informing policy- makers and stakeholders of key trends and issues. Postgraduate education and HE research form a pivotal part of the national science and innovation system and therefore have a key role to play in contributing towards national development. It is therefore important to track and analyse trends in these domains. This publication intended to contribute the latest available reliable and valid information to the crucial debate about the value placed in our economy on knowledge and its appropriate use through innovation by the public and private sectors. It is a potentially valuable resource to enrich discussion and to assist South Africa to better make choices in the future. The study not only addresses not only the participation of women in science SET but also the extent to which women benefits from SET. A strategy for research utilisation was developed from extensive analysis of published information and synthesis of the survey of research outputs from Higher Education Institutions (HEIs) Science Councils (SCs) and private organisations, conducted by CENIS, 2002-3 across a number of sectors of the South African economy. globally accepted ‘good practice’. This data book aims to promote such an approach. 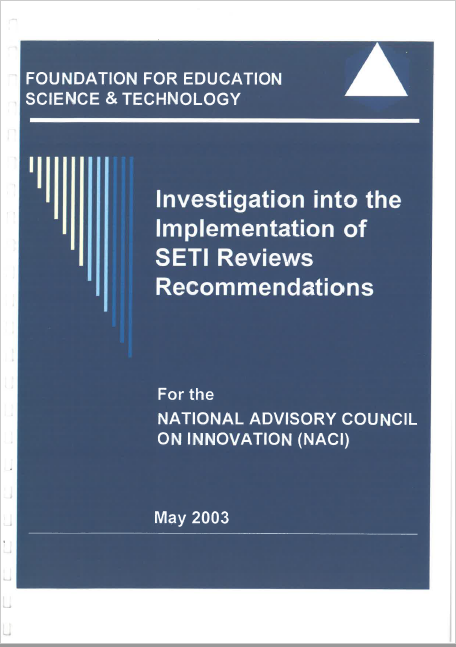 The National Advisory Council on Innovation (NACI) intiated the “investigation into the implementation of the Science, Engineering and Technology Institutions (SETI) reviews recommendations”. The review was undertaken in 1997 by the Department of Arts, Culture, Science and Technology (DACST). This report consists of six chapters, a framework which provides an understanding of the mobility of R&D workers through an overview of the theoretical issues involved and provides an overview of South African policies and legislation concerning mobility. The Study does show that a culture of measurement has become apparent among the Science Councils. Furthermore the measures, which are being reported, show that although there is still some way to go, a great deal of progress has been made over the past few years. It presents the AMTS for South Africa. The process for developing the strategy was one of extensive consultation within the private, public and education sectors, and care was taken to ensure strategic fit with other national strategies and avoidance of unnecessary publication. Emigration figures of highly skilled researchers remain high, but the greatest mobility of highâ€“level skills is now within the country. This is a key finding the Study on Mobility of R&D workers, released by the Human Sciences Research Council (HSRC). The study, commissioned by NACI, confirms earlier findings regarding the under reporting of emigration to major consuming countries. This flow is up to four times higher than the official figures of Statistics South Africa. 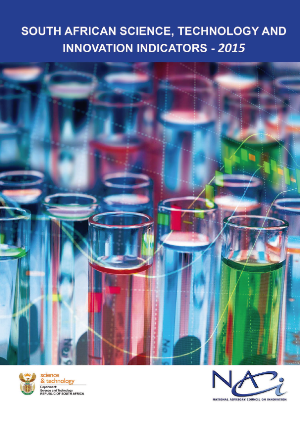 The document reports on a comprehensive study on the extent and nature of the utilisation of South African research findings, suggests strategic steps to improve such utilisation. This report will serve as a basis for the recommendation of policy guidelines to government, research funding agencies and institutions in the national system of innovation. These findings were supported by the case studies as well as interviews that were conducted by the expert panel. The strategic recommendations made by the panel address these issues by taking a systematic look at the dynamics of the innovation system. Discussion document by the National Advisory Council on Innovation Open Software Working Group. The publication gives easy access to selected key information about the science and technology (S&T) system of South Africa. It summarises policy and strategic issues, and offers data on selected S&T indicators. This is a living document, updated from time to time, distributed under the open content license (www.opencontent.org). A diagram outlining the National System of Innovation in South Africa. The visit to various institutions in Helsinki and Oulu were initiated by DACST as a follow-up to the Ministerial visit in 2001. 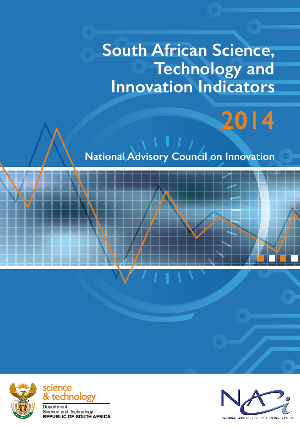 A report of international investigation for the National Advisory Council on Innovation. Competitiveness has become the primary focus of national policy and investment in the developed and developing worlds of the 21st century. South Africa must, without delay, establish its own competitiveness ranking system. This document provides a brief overview of international trends in Science, Technology and related policies. An outline of some of the functions of NACI. The report provides a brief general overview of performance of South Africa economy in terms of growth and innovation.